Some of you may have been following Niki's My Scandinavian Home blog for a while but I have only recently discovered it....and I love it! I love the beautiful and inspiring images of homes from all over the world. The images are of homes where you can imagine real people living - just like the pretty image below. If you are looking for some inspiring interior images - or if you just love a good old sticky beak into the homes of people from all over the world - head on over to this gorgeous blog. Has anyone discovered any inspiring blogs lately? 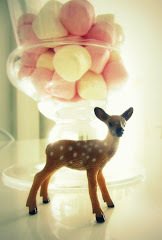 Pretty please with sugar ...and a cherry on top - share your inspiring blogs with me.